The gray area corresponds to the Uniform Fare Area. 54 Rosemount Place d'Armes E. - rue Notre Dame - rue Craig - rue Amherst - Laurier - Papineau - Rosemont - Bellechasse & 25e ave.
Urban tramways: (horse-drawn) 27 Nov. 1861 - Oct. 1894; (electric): 21 Sept. 1892 - 30 Aug. 1959. Métro: 14 Oct. 1966 - today. 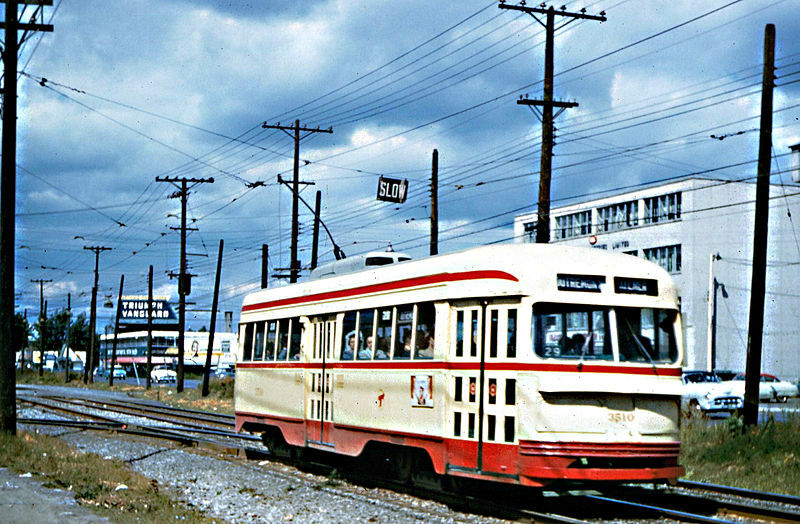 Pence, H. "Montreal: From rubber tyres to steel wheels", Tramways & Urban Transit, Feb. 2016 (79: 938), p.56-59. Taplin, M.R. Tramways of North America, including rapid transit. Hassocks (England): Light Rail Transit Association, 1982 (? ).